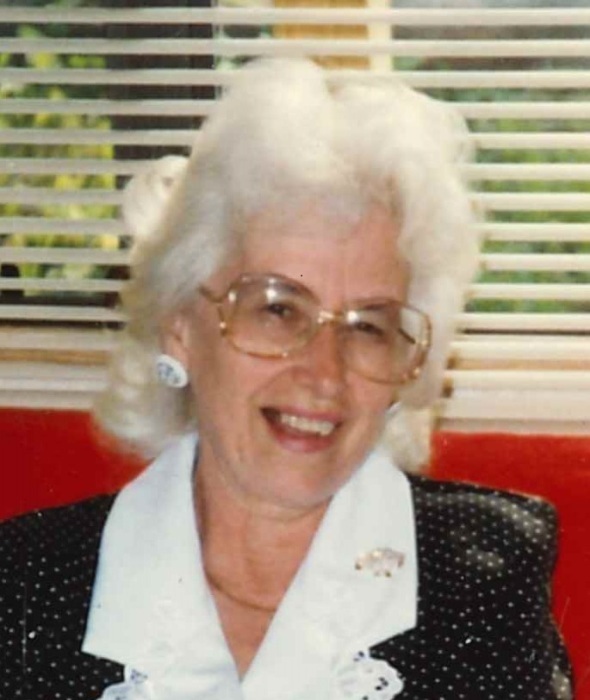 Mrs. Hilda Viola Welty Snoots Stinnett, 80, of Walkersville passed away on Sunday, November 4, 2018 at Glade Valley Center with her family by her side. She was the wife of the late Ralph Snoots and the late Clyde Stinnett, whom she loved dearly. Born in Frederick County on February 28, 1938, she was the daughter of the late Edgar and Laura Welty. She worked as a GNA for 40 years at Vindabona Nursing Home and Meridian Nursing Home. She loved very much working with the elderly. She is survived by one son, Randall Stinnett (Wendy) of Thurmont; one stepson, David Stinnett and wife, Becky, of Fairfield, PA; two daughters, Pamela Droneburg (Edward) of Thurmont, and the late Debra Wolfe; grandchildren, Jennifer Tregoning King and husband, Jimmy, of Charles Town, WV, Laura Droneburg Bostian and husband, Eric, of Thurmont, Tiffany Stinnett (Michael) of Fairfield, PA, and Kimberly Droneburg of Thurmont; great-grandchildren, Thomas and Cody King, Dakota and Colton Bostian, Madison, Aaron, and Rylee Oden, and Sophia Gum; and special friends, Roland Smith and Benny Cline. She is survived by one sibling, Shirley Crone of Middletown. She was predeceased by siblings, Marguerite Wise, Marion Stine, James Welty, Darlene Welty, Helen Hoffman, Mary Welty, and Bonnie Welty. She also leaves behind her pets, Bogey, Sport, and special pet, Princess. The family would like to express great appreciation and many heartfelt thanks to the Haven Unit staff at Glade Valley Center. They all were wonderful in caring for our mom and grandmother, and we extend special love and appreciation to all of you. The family will receive friends from 2 to 4 p.m. and 6 to 8 p.m. on Wednesday, November 7, 2018 at Stauffer Funeral Home, 40 Fulton Ave., Walkersville, where funeral services will begin at 2 p.m. on Thursday, November 8. Officiating will be the Rev. Tim May. Interment will follow in Glade Cemetery.